G4S is the world's largest security company measured by revenues. It has operations in more than 90 countries. With over 570,000 employees, it is the world's third-largest private employer, the largest European and African private employer, and among the largest on the London Stock Exchange. 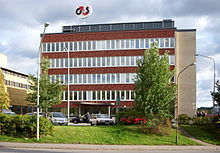 G4S has its origins in a guarding business founded in Copenhagen in 1901 by Marius Hogrefe, originally known as København Frederiksberg Nattevagt (Copenhagen and Frederiksberg Night Watch) and subsequently renamed Falck (Falcon). In 2000, Group 4, a security firm formed in the 1960s, merged with Falck to form Group 4 Falck and by 2000 the company was described as "the world's largest private security systems company". In 2002 Group 4 Falck went on to buy The Wackenhut Corporation in the United States. On 12 July 2012, it was announced that 3,500 British troops would be deployed at the 2012 Summer Olympics due to a shortage of adequately trained G4S security staff, with Labour MP Keith Vaz claiming that, "G4S has let the country down and we have literally had to send in the troops". Shares in G4S later dropped nine percent after the firm claimed it faced a possible £50 million loss as a result of failing to provide sufficient trained staff for the 2012 Olympic Games. On 17 July, the company's chief executive, Nick Buckles, appeared before the Home Affairs Select Committee, where he apologised for the organisational failings, expressed regret at having taken on the Olympic security contract, and agreed in principle to pay bonuses to soldiers drafted at the last moment as replacement security staff. Pressed by Labour MP David Winnick, he was forced to admit that organisational situation had become a "humiliating shambles". G4S announced in late August 2012 that it would be selling its Pakistan division, Wackenhut Pakistan Limited, to its chairman Ikram Sehgal for a figure of around $10 million, according to the Financial Times.Sehgal disputed this figure, calling it "speculative" to the Express Tribune. ^ a b c "Preliminary Results 2018". 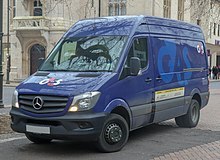 G4S. Retrieved 17 March 2019. ^ "What we do". G4S. Retrieved 17 March 2019. ^ "G4S plc Acquisition of RONCO Consulting Corporation". G4S. 4 April 2008. Retrieved 18 April 2011. ^ "G4S kupio 85 odsto akcija Progarda". b92.net (in Serbian). Retrieved 19 October 2013. ^ "A G4S Secure Solutions (USA) Inc. Publication". G4S. Fall 2012. p. 10. Retrieved 21 December 2016. ^ Crone, Jack (9 November 2014). "G4S forced to spend £500k changing ALL the locks at prison | Daily Mail Online". Daily Mail. Retrieved 15 September 2017.